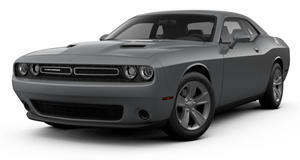 What’s the issue plaguing the most successful muscle car to date? 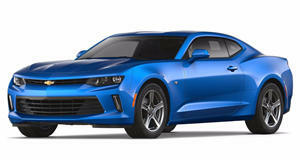 The muscle car war is one that will never end with a definitive winner. With every supercharged special edition that rolls out as the supposed last word from either Ford, Dodge, or Chevrolet, there’s a room full of engineers toiling to supply an answer to that. Quarter mile times are irrelevant too because owners jazz up their cars with every modification available and like a body builder that’s gone too hard on the steroids, render each car an echo of what it once was. To the bean counters, however, sales numbers reign supreme. 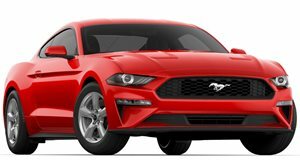 No amount of horsepower or torque output can beat a winning sales streak, and in terms of raw numbers, the Ford Mustang still takes the win as the best-selling muscle car when compared to its rivals, the Dodge Challenger and Chevrolet Camaro…at least during this past March. Ford came in for the win with a grand total of 9,120 sales in the US while the Camaro took the second place podium with 7,052, failing to edge out the Mustang by a slim margin as it did this past December. Dodge remained in last place with a sales number of 6,225, alluding to the fact that it needs to commit to a refresh so that sales can be sent north once again. The only problem with Ford’s win is that it’s not indicative of the situation at the dealership. In total, Ford experienced a downturn in sales of over 7% last month, due in part to a dip in fleet sales (which typically makes up a portion of Mustang sales) as well as the fact that its customers seem to be abstaining from buying anything but trucks and SUVs. Even though the Camaro and Challenger were behind on sales compared to their Blue Oval counterpart, each of the two automakers sold more muscle cars this March than they did during the same month last year. Ford, on the other hand, was behind the curve by 3,443 ‘Stangs over the same period last year. The refreshed version of the Mustang should help Ford boost Mustang sales to the levels they were once at, but there’s no question that March was a punishing month for Ford that will need to be made up one sale at a time. This is especially true now that Tesla has had a banner 2017, propelling the youngest and smallest US automaker to a being valued higher than Ford, the world’s fifth largest automaker.